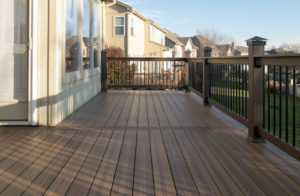 Looking for a deck builder in Overland Park, Olathe, or Leawood? Decks, Patios, Stamped Concrete Patios, Pergolas, Screened in Porches, Under Deck Ceilings, etc. 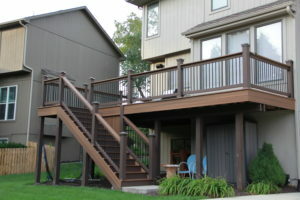 We build a lot of composite decks in Overland Park, Olathe, and Leawood. Obviously we also do the deck lighting on these decks as well. While Overland Park, Olathe and Leawood decks are close to home, we also build decks in Lenexa, Prairie Village, Stilwell, Stanley, Shawnee, and the Johnson County area. There are a lot of deck builders you can choose from in Overland Park, Olathe, and Leawood. We are not the cheapest and we are not the most expensive. We do build the best quality deck for your money though. So definitely get an estimate from us for your next deck or patio project. Check with me as your first estimate or your last. Either way I’ll give you a great deal and a quality deck you will enjoy for years to come!